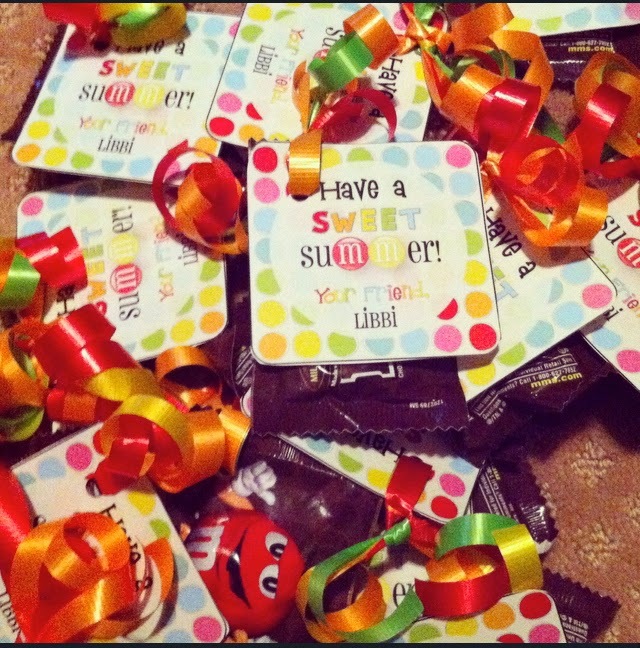 Total Tippins Takeover: end of school year gifts (Free printables!)…. **EDIT 5/23/15** LINKS HAVE BEEN UPDATED! :) and to see this year's post with NEW printables, click HERE. 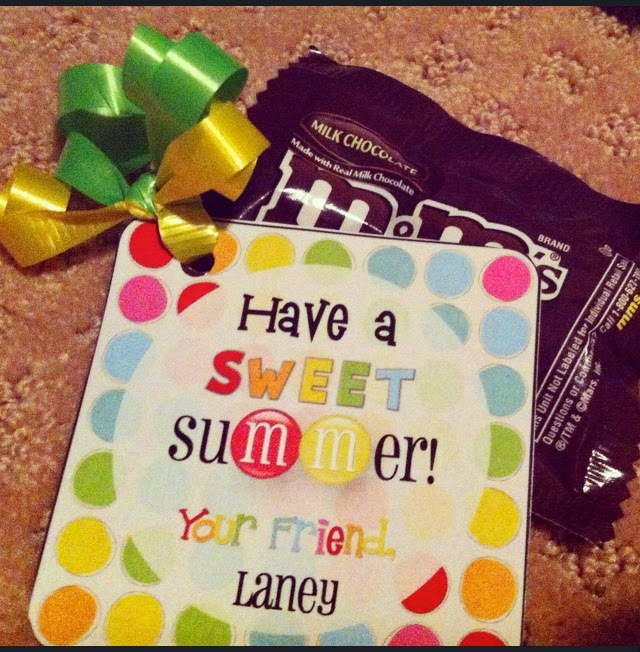 i posted last year about some end of the year gift ideas for teachers and classmates. and honestly, i would have gifted the teachers something similar again this year, but my girls have some of the same teachers from last year so i didn't want them to have a repeat gift. if you want to see some ideas (and MORE free printables) from last year's post, CLICK HERE. 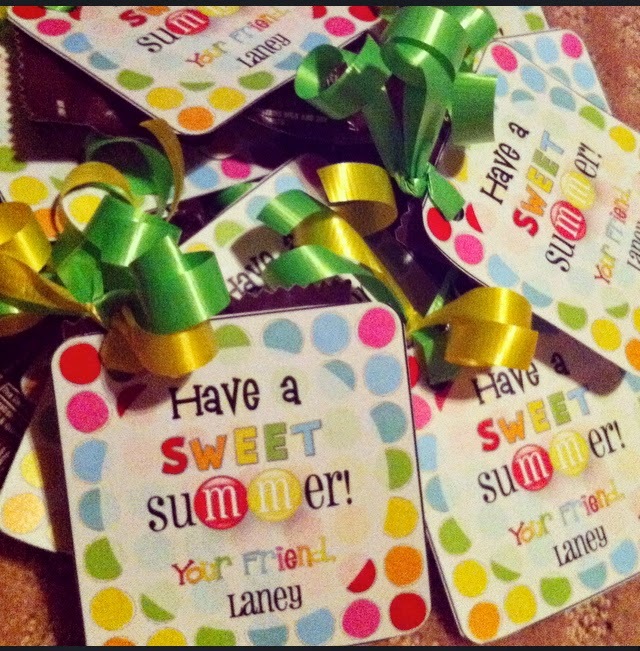 this year, i just made a gift tag for the girls' teachers and the director of the school. y'all know i love a cheesy play on words, so i just couldn't resist. "Thanks a melon for such a sweet summer" with a cute little watermelon graphic. 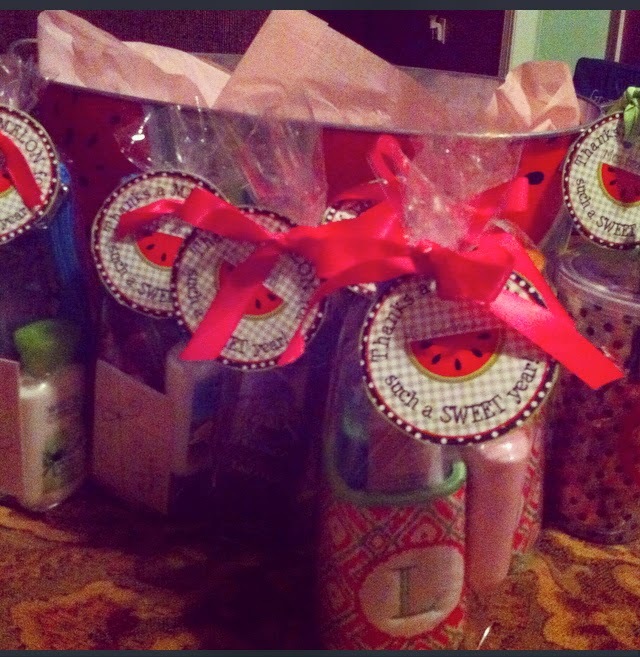 i put some "sweet" smelling lotions and soaps in their bags. 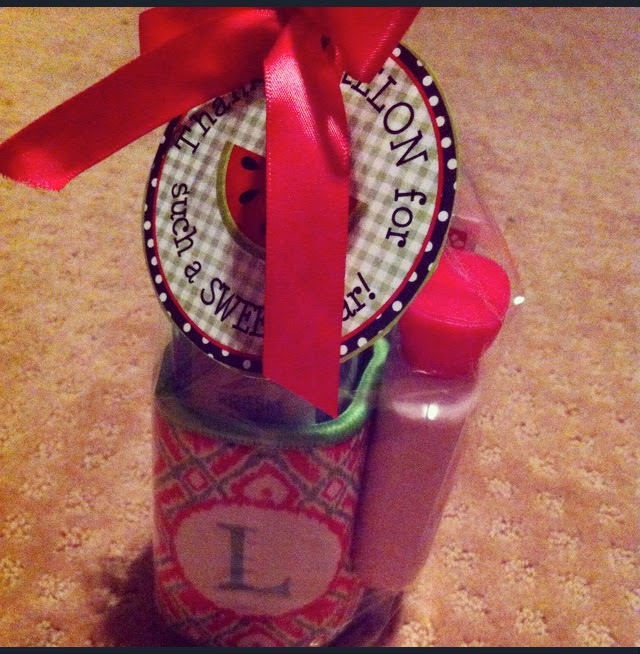 i also added in some watermelon flavored gum and a few gift cards and other odds and ends. 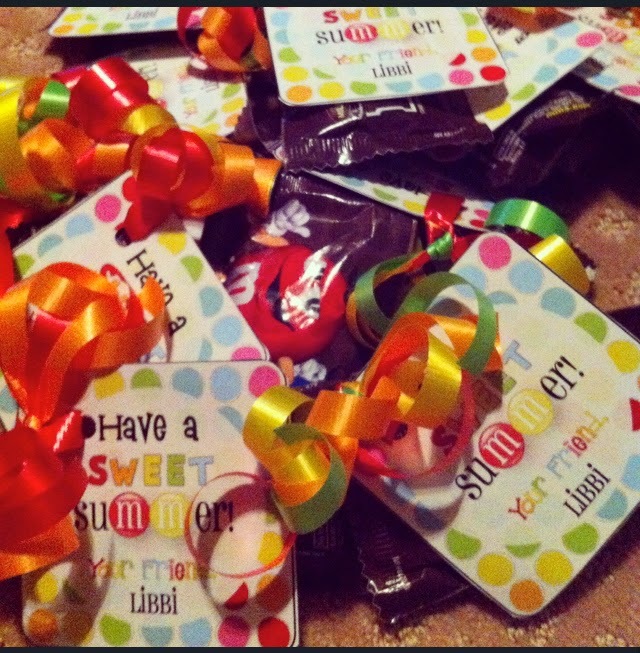 for the girls' friends: fun size bags of m&m's with a gift tag that reads, "have a sweet summer" and the m's in summer resemble the m&m logo. libbi and laney's tags close with, "your friend" but i've created a blank version as well as another version with just a heart. 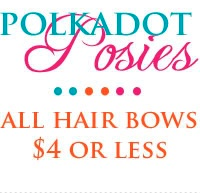 that way it can be used for boys/girls/friends, etc. 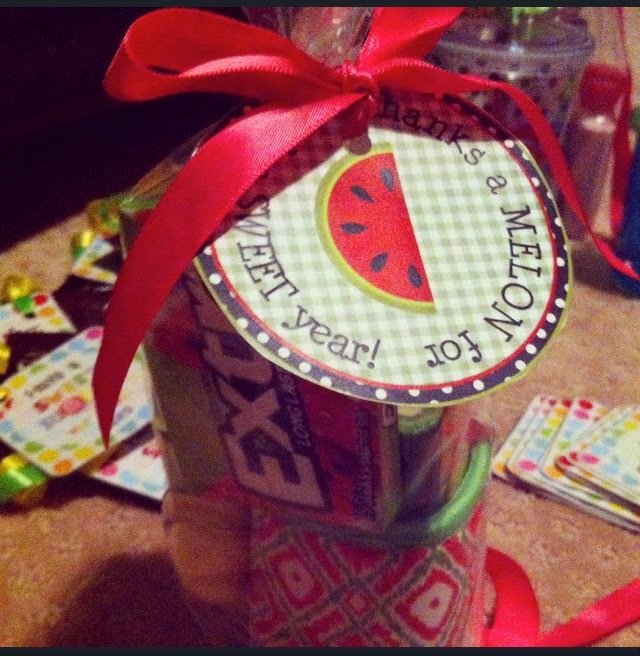 i think it would even be cute for teachers to give their students! i can't make the month of may any calmer, i surely can't keep my baby from graduating from preschool (Lord knows, i would if i could) but hopefully i CAN offer you a bit of help with these FREE printables! just click the link for the free download.